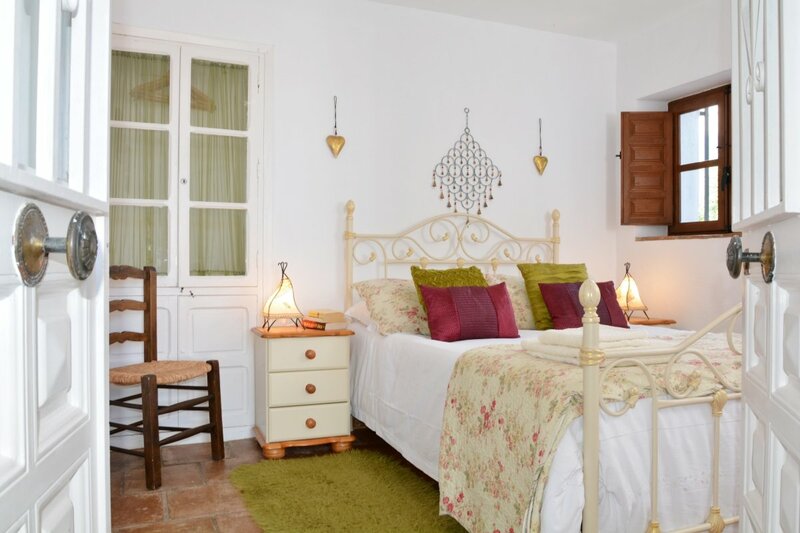 Casa La Negra, Periana, Malaga, Andalucia, Spain, sleeps 10-18 in 9 bedrooms. 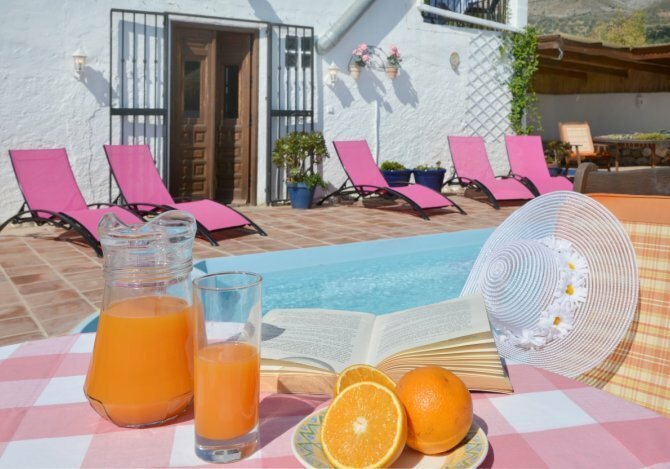 The traditional Spanish farmhouse and ancillary accommodation, all within a few metres of the main house, comfortably sleeps up to 16/18. 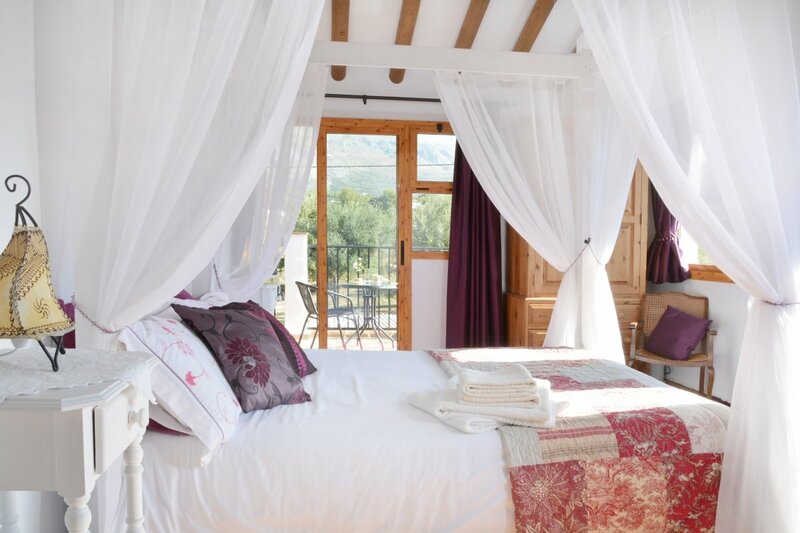 High quality bed linen, towels, bath and shower products are standard at La Negra. 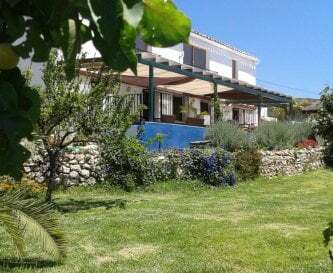 The house sits among olive groves with south west facing views in the delightful area of Axarquia, less than 5 minutes drive from Periana with good access onto a concrete road. 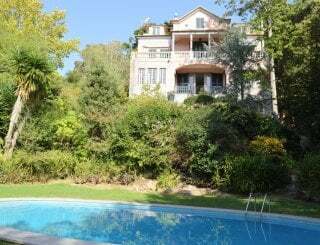 Private and secluded heated swimming pool within a walled and gated enclosure, making it safe for children. 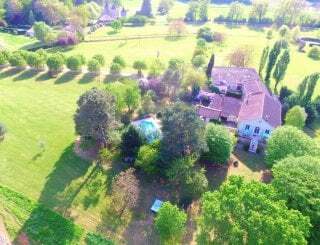 A few steps away is the main covered terrace, outside kitchen area, BBQ, fridge/freezer and dining for 18, all set in gardens and orchard. 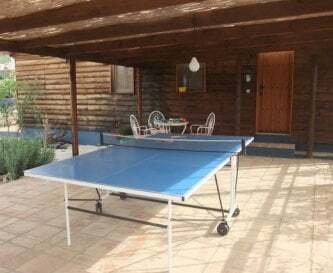 There is space to relax around the pool, plenty of sun loungers, garden tables and chairs or the covered terrace offers more relaxing seating, an additional covered terrace houses the table tennis. 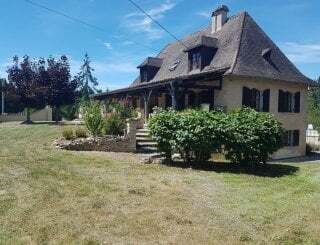 The main farmhouse has four bedrooms, four bathrooms (all en suite) (3 double, 1 twin), 1 with disabled downstairs access and fully functional wet room. 1 bedroom annex with en-suite. 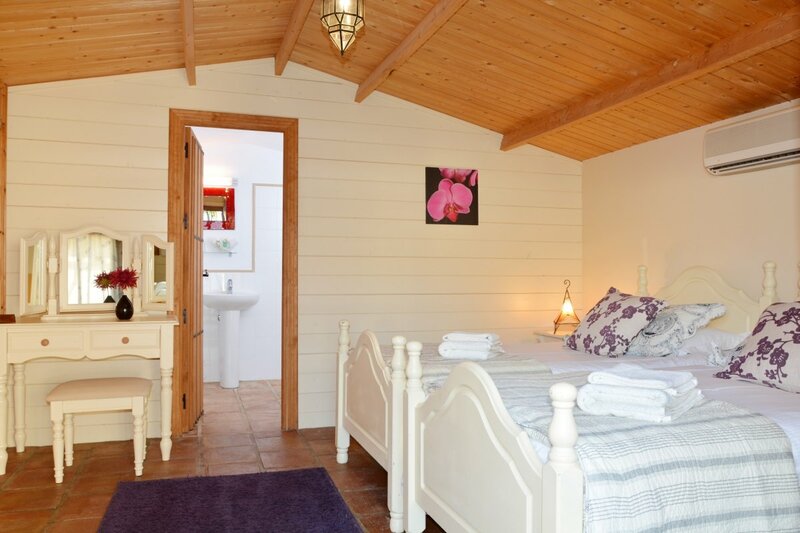 There are also 4 individually designed 1 bedroom en suite accommodation, 2 double and 2 twin, with air conditioning. Fully fitted kitchen with dish washer, dining room, large spacious sitting room with wood burner, TV, DVD, WiFi and library, board games. Basic TV channels and docking station. Disabled facilities have been added with wheelchair access also to the pool area plus, kitchen/dining room and front terrace with BBQ area. 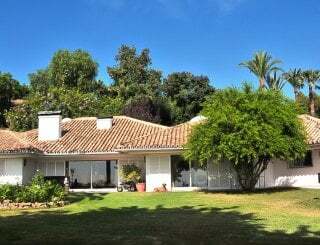 This is a perfect base for cyclist, painting, photography, Yoga and language groups or those who just want to relax by the swimming pool from sunrise until sunset. 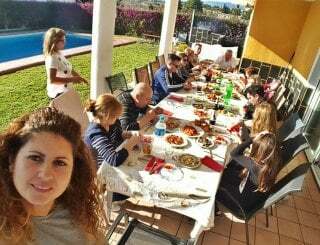 Restaurants, supermarkets are close by in the truly Spanish town of Periana. 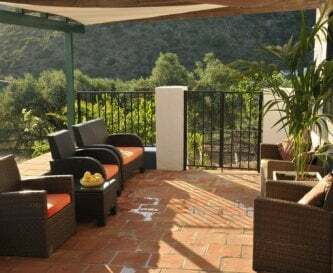 It's just a 30 minute drive to the beach and the many beach bars of the Costa, while the bustling ancient city of Granada and the culture-rich city of Malaga are both an hour away. Walking/ cycling routes are available and we also offer guided walks on request when booking. Modern fully fitted kitchen catering for 16 plus, large fridge/freezer, double oven, dishwasher, microwave, coffee machine aand much more. There is seating for 16 at the large dining table, a fold away table is available for more guests. 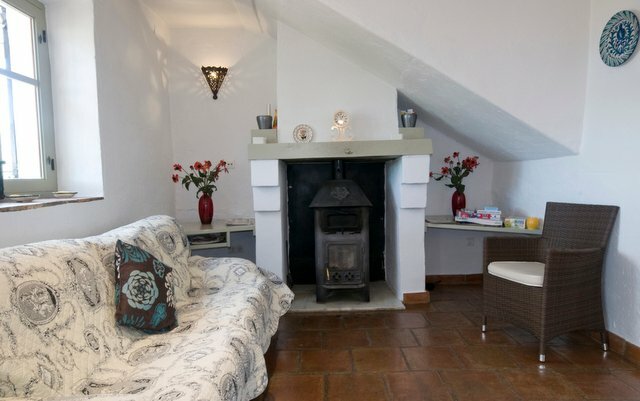 A wood burner and comfy seating complete the area. 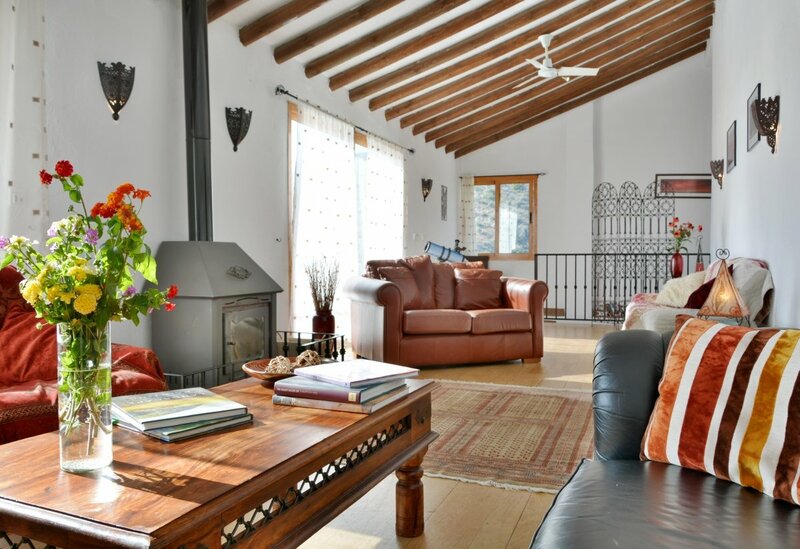 The spacious living room upstairs offers plenty of seating, WiFi, DVD, TV, good selection of games and books and views to die for. Docking station for iPod, DVD and TV are in the sitting room. WiFi (Internet), mobile reception is included in the price. Outside there is a covered terrace with table tennis table and weights machine. Plenty of room for Yoga. 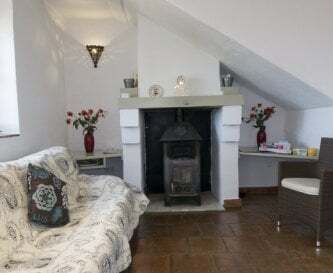 There are wood burners in the lounge and dining room. 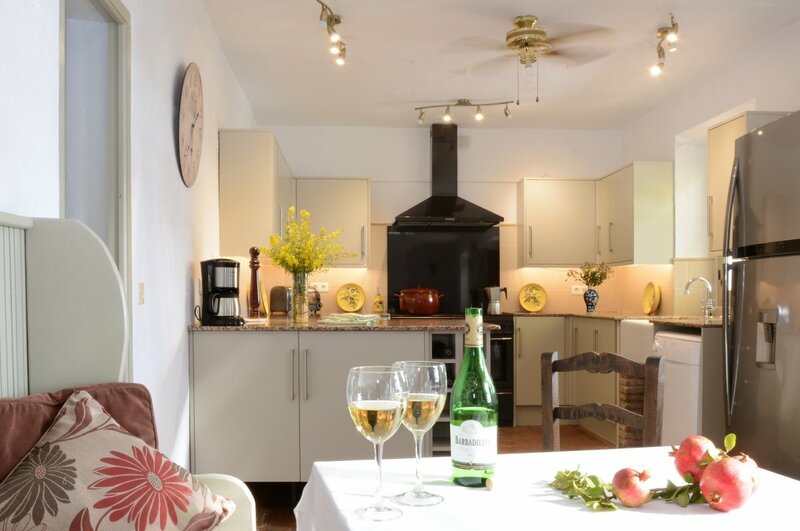 The lodges are air conditioned/ heater units. Central heating in the house at an extra cost. 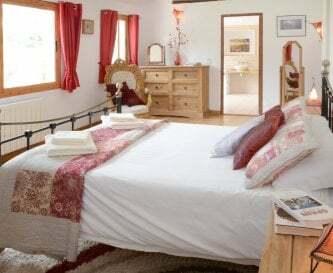 I king size, 2 large doubles, 3 doubles and 3 twin rooms, all with en suite facilities. Downstairs bedroom has wheelchair access. Z bed available. 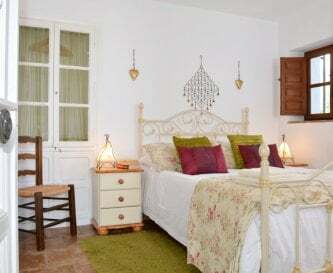 High quality bed linen and duvets, bath and hand towels, tea towels. Daily cleaner extra. Downstairs wet room, access for wheelchair. 1 bath and 8 showers. 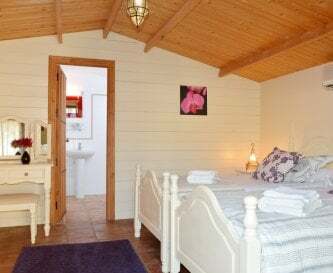 Large bath and hand towels plus toiletries provided, hairdryers in each bathroom. 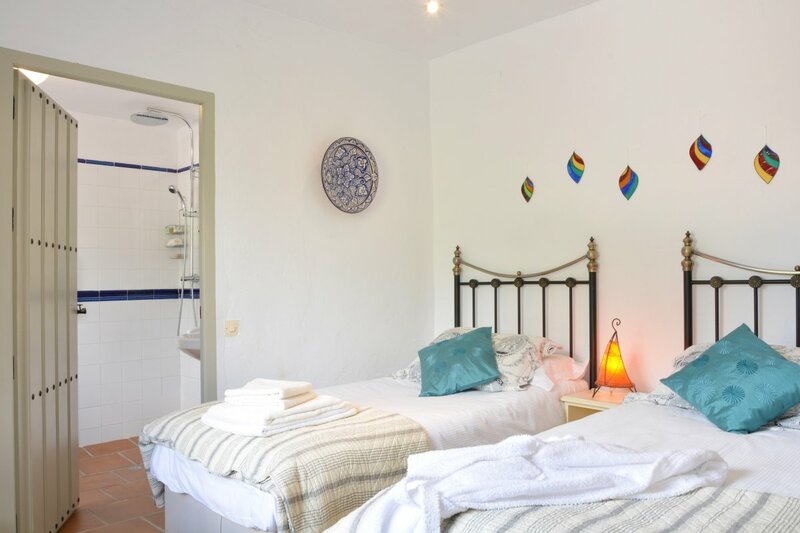 Wheelchair access to main house downstairs, separate access to the pool and front terrace. Access to outside kitchen/dining area. Steps into the pool. 2 travel cots, 1 high chair. Gates can be locked to the pool area. Table tennis, badminton and children's DVDs, games and books. 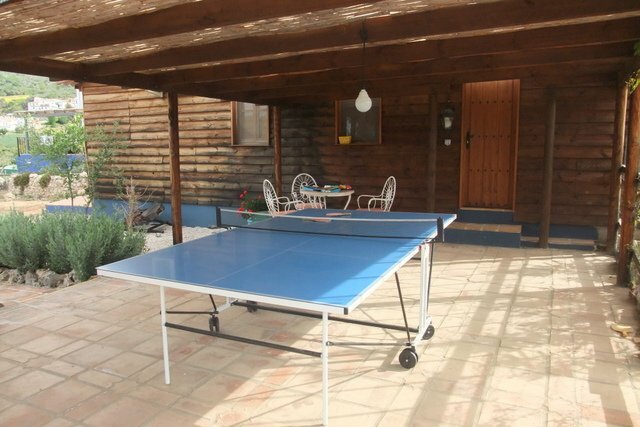 Undercover table tennis, large lawn, plenty of private areas. 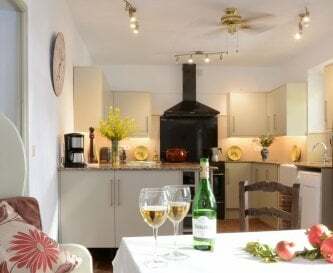 Outside kitchen, BBQ, fridge/freezer, comfy seating, dining area, sun loungers, tables. 7 x 3 metres pool in an enclosed area with gates that can be locked , there is an extra cost of £100 per week for heating the pool. Outside parking for 10 or more cars. 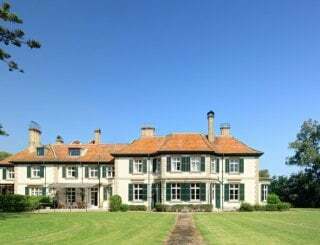 No smoking in the house or lodges and great care to be taken if smoking outside throughout the summer months. We will accept pets although they must be kept under control, only one or two dogs at any one time. 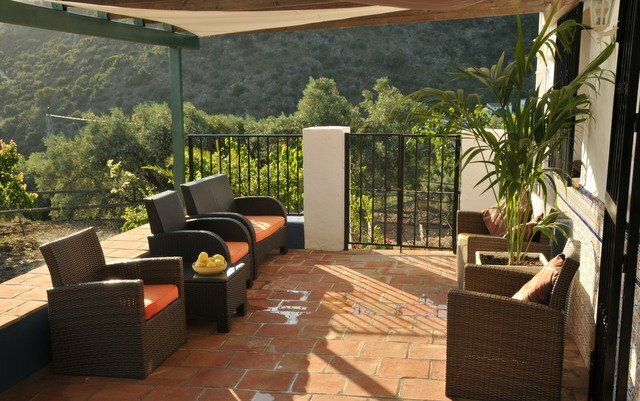 Set amongst olive groves, 30 minutes from beaches and an hour from Malaga and Granada. 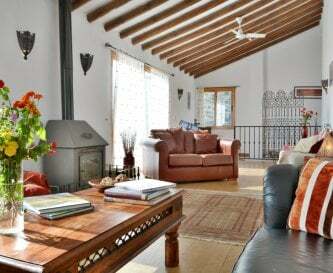 Casa La Negra is situated in the country only 3 km from Periana, near to the villlage of Baños de Vilo. 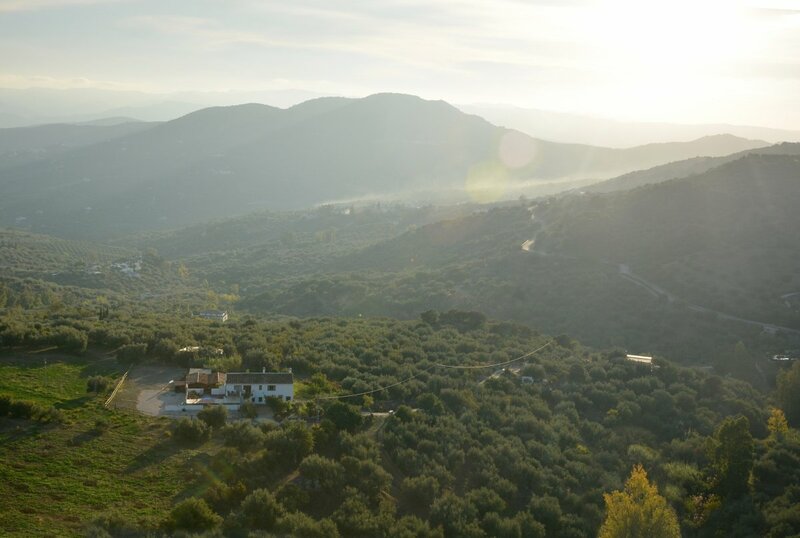 Periana is the nearest village, no more than 5 minutes drive with several independent shops, chemist, supermarkets, restaurants and bars. There is a small bar in picturesque village of Baños de Vilo but it is only opens until 3.30pm. Periana has several good restaurants and bars. 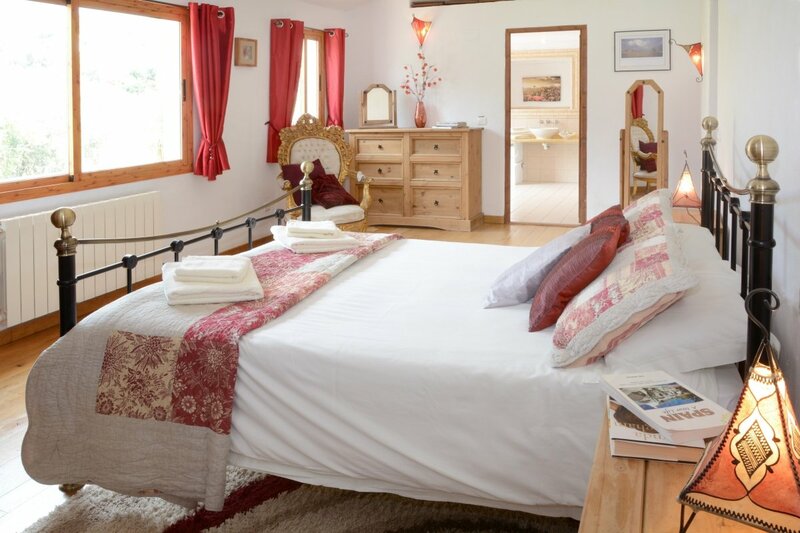 The prices quoted are per wk, (UK pounds), not per person (flights not included). £250 damage deposit on arrival. High season Saturdays only changeover day. 35% deposit is required to secure a booking. 6 weeks before arrival final payment. Extra charge: £100 a wk for heating pool. Air-con meters. 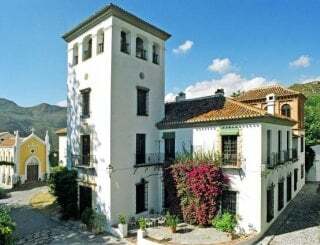 The central station to Malaga is 55 mins drive, with trains going to Seville, Cordoba and Madrid. 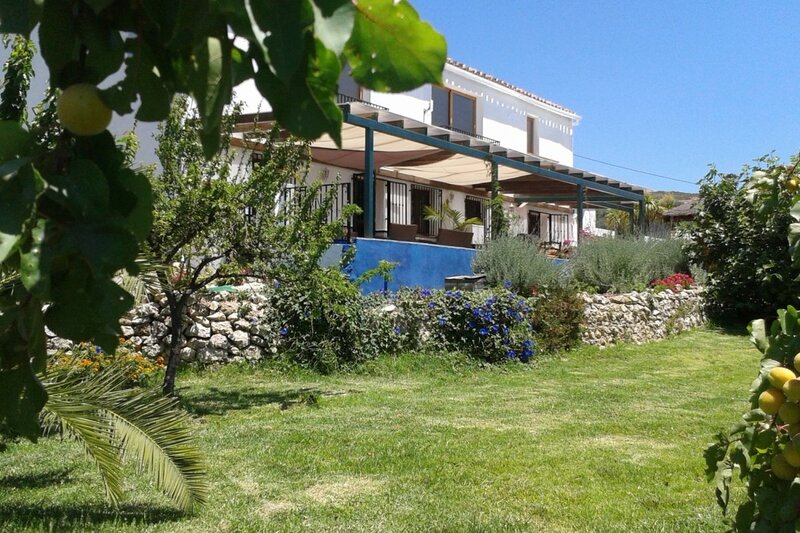 There is a bus station at Torre del Mar 30 mins drive with regular buses to Nerja & Malaga. 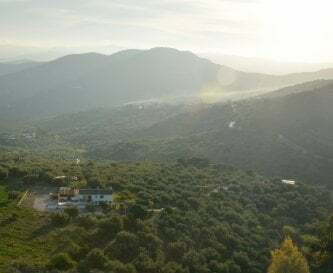 There is also a connection at Periana. 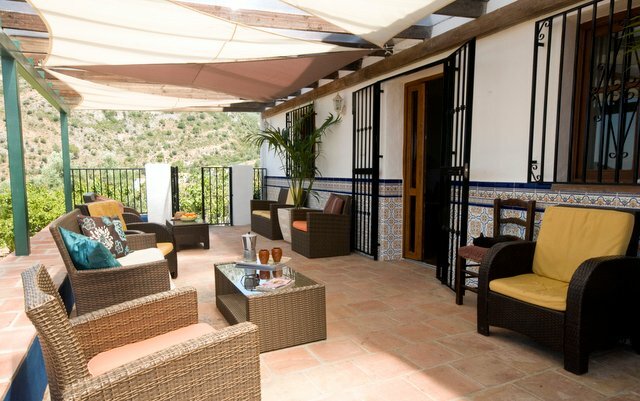 Malaga Airport is 60 mins away.